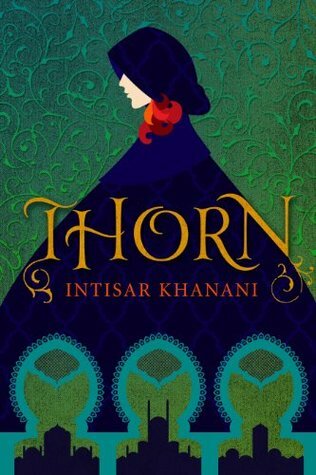 A few years ago, I saw on Facebook that there was a free promotion for a book I’d been wanting to read for awhile, Thorn by Intisar Khanani. The catch? It was for Kindle. At the time, I was a staunch literary purist. eBooks were the inexcusable digitization of literature and I was much to good for that. But…it was free. You can’t argue with free, can you? So I caved and downloaded the Kindle iPhone app, hit the infamous “one-click” button, and let the book sit around for weeks. And weeks. And months. Finally, I went and took a little peak at it. A little peak turned into a few chapters, a few chapters turned into a few hours—hey, this story was pretty darn good and who cared if it was an eBook, it was awesome! By the time I scrolled past the last page, I was not only irreversibly hooked on the author, but a love of eBooks had taken root in my soul. I ended up downloading more free eBooks, sampling the beginnings of series that ranged from “why was this published” to “give me the sequel before I hurt someone.” In no time at all, I was buying complete series in eBook, periodically hijacking my father’s Amazon account to go on digital shopping sprees. My iPhone app quickly filled up with books I liked to reread, books I wanted to read, and books I to this day haven’t read—just like a “real” library! For my eighteenth birthday, my grandparents gave me the ultimate gift for a bookworm—a brand new, shiny, gorgeous Kindle Paperwhite. The very first book I read was Reemergent by A.M. Hargrove, the final book in a series I had devoured via my iPhone app. My Kindle opened up a world of possibilities. With a display that didn’t render me blind after a few hours, a bigger screen, and better visibility, I could even read the big, fat fantasy epics as eBooks! I can’t count the number of series I’ve been able to try, start, and adore because of my Kindle (actually, they’re all listed on Goodreads). From The Cat’s Eye Chronicles to The Captive series, Legends of Regia to the Shadowlight Saga, awesome is just as prolific in eBook as it is in print. eBooks have helped me as a writer, too. Without those little things called Kindles and Nooks, my stories would not have reached half the readers they have. Permanently free, Fanged Princess is reaching new fans every month and none of it would be possible without eReaders. So despite all the things Amazon has gotten wrong, there’s at least one they got right—creating a little thing called the Kindle for all the little bookworms like me to use and love. Funny you mentioned Lord of the Rings. I just watched all 3 movies back to back this weekend. Now starting on Harry Potter! Great post. There are many, many books I never would have been exposed to without my Kindle. Happy reading, Elisabeth!